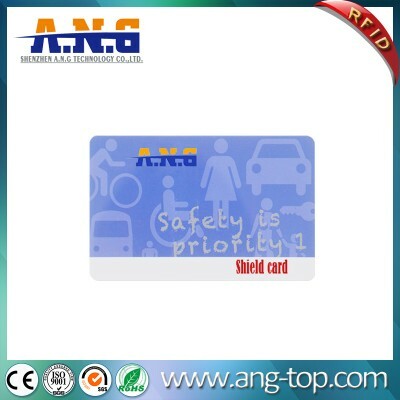 Great creativity group RFID blocking cards will keeep credit cards and bank cards safe from potential identity thieves. The aluminum foil material protects card data and personal information from RFID readers. 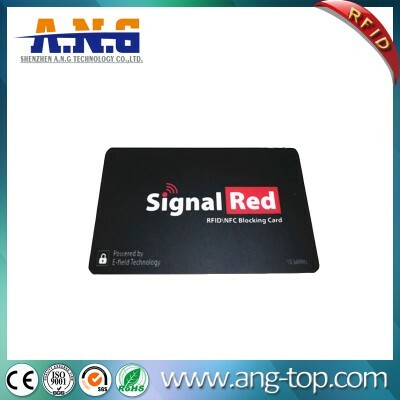 If you have RFID blocking cards, no need for multiple heavy sleeves any more, RFID blocking cards can protect many cards at the same time. 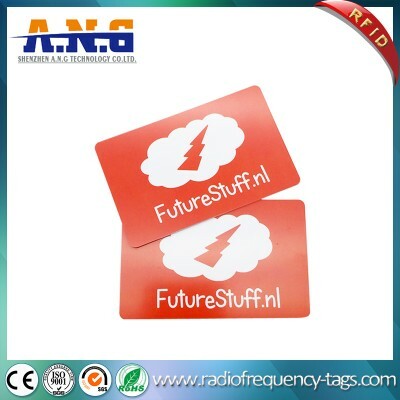 RFID readers can be bought easily and cheaply online by anyone… Your name, account number, and expiration date etc can be read by a concealed hand held RFID reader from up to 3m away without you knowing. 2 Thin Cards are same size as credit cards. They are Durable, Sturdy, Won’t Fall Apart. Weather and Water resistant / Puncture and Tear Resistant. 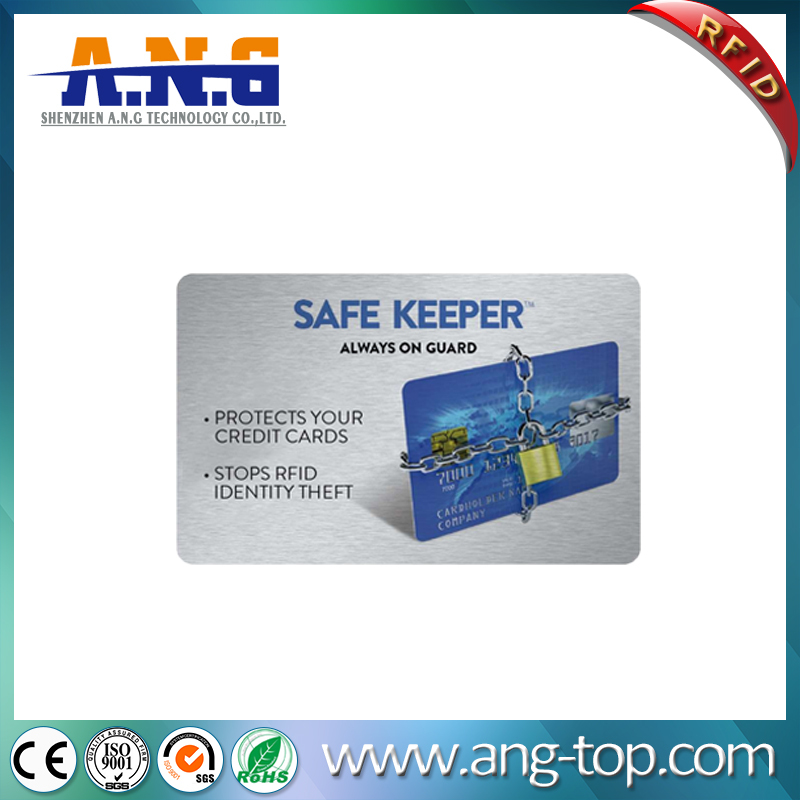 You can put several cards between RFID blocking cards, then these cards will be protected at same time. No need for multiple RFID sleeves any more. 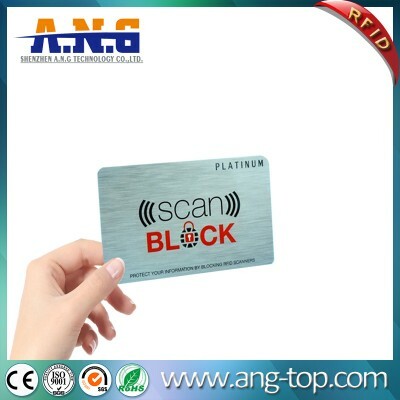 The RFID blocking cards are equipped with advanced RFID Blocking Technology, a unique metal composite, which will block RFID theft to remotely scan your RFID chip, effectively protecting your identity and important personal information. 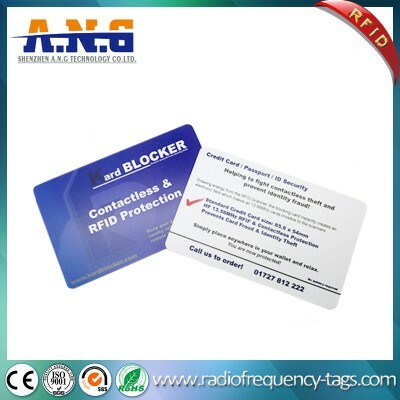 RFID blocking cards Shields RFID LF 125 kHz, HF 13.56 MHz and UHF 860-920 MHz with protocol ISO18000-2, ISO14443A, ISO15693, ISO18000-6C/ EPC GEN2 to STOP RFID SCANNING for all new contact-less RFID Cards. 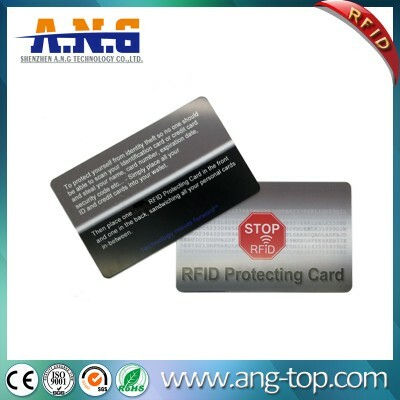 All our RFID blocking cards can be customized per your requirements for size, printing, color, package etc. 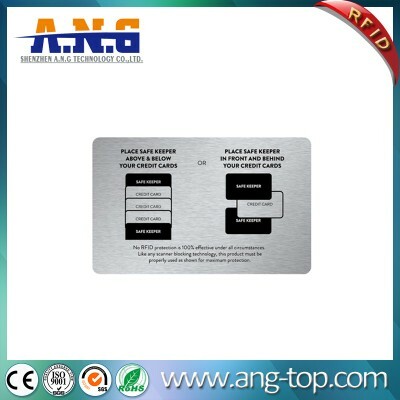 Card surface can be matt finish or glossy finish. 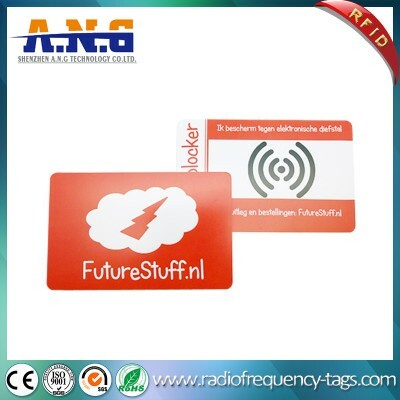 Also for 1 order, you can make 1 design with different color to make your RFID blocking cards more attractive.